4.7 / 5 from 173 reviews and 127 votes! You can find the module reviews on MagentoConnect! Our flagship Cart2Quote edition for the demanding webshop owners, includes Not2Order and comes with one year of free updates! This version works lightning fast in combination with HHVM and PHP 7. Cart2Quote Enterprise is the quotation solution for High-Volume E-commerce Sites. With the purchase of Cart2Quote comes a free update subscription. Depending on the Edition of purchase, you have either 6 months (Lite, Starter), 9 months (Business) or 12 months (Enterprise) of free updates. For each separate Magento Installation you need a license key. This license enables the functionality and possibilities that belong to the Cart2Quote Edition you purchased. Once purchased, our extensions can be used forever even if the license has expired. One-off Price based Cart2Quote Edition This Edition as a Subscription? Click here. 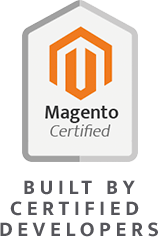 Official Magento Silver Partner and all of our products are created with love by Certified Magento developers. That's why we offer you a 30-day money back guarentee. 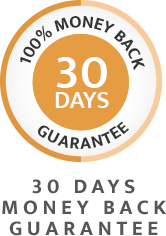 30-day Money back guarenteeWe’re so confident you will love our products, we offer a 30 day, money back guarantee. Certified DevelopersAll our developers are Certified Magento developers, so we know what we’re doing. Official Magento Silver PartnerThis Partnership allows us to offer you Magento Enterprise and more. This is the brand new Quotation Module for Magento 2.0. Cart2Quote for Magento 2 offers a reduced feature package in comparison with Cart2Quote for Magento 1, but new features will be added monthly. Learn more about the current feature set. It is not possible to update for free from a Cart2Quote for Magento 1 module to the module for Magento 2. 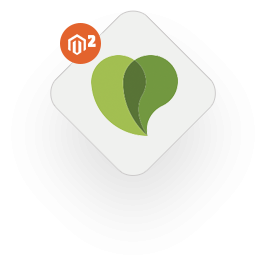 Customers who bought Cart2Quote for Magento 1, will need to order Cart2Quote for Magento 2 as this is a brand new product. 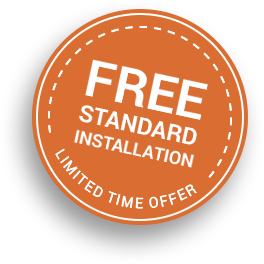 Cart2Quote offers different support services for customers needing help with the installation or theme integration. Learn more. Support by e-mail is free for customers with a paid product. Import Note: Always install Magento modules in a development environment first. 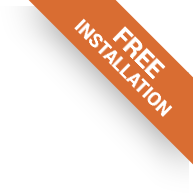 See the installation manual. As stated; Cart2Quote reserved the right to add encryption to this edition shortly. There were no guarantees offered that updates would also be delivered open source without an additional fee. A Cart2Quote for Magento 2 version without encryption has been added to our product portfolio. Feedback is more than welcome for this module. Send your feature requests via this form. As the leading Magento Quotation Extension we know what it is to be at the top. It has taken us years to develop and finetune our RFQ extension and we're really pleased with the fact that Cart2Quote is now the trusted quotation module for over 15.000 Magento users. All our Customer success stories. Filter the stories for your Location. Samsung inspires the world with innovative technologies, products and design that enrich people's lives and contribute to social prosperity by creating a new future. Samsung is relying on Cart2Quote to process Quote requests via the front - and backend of their business stores. Cart2Quote not only fulfill our requirements but give us better path to manage the quote and orders effortless. If you are in B2B and seriously looking for customer friendly solution then at-least try Cart2Quote. I bet you will not find better solution than Cart2Quote. Miele stands for excellent results combined with the lowest possible energy consumption. This goes for the hygienic and gentle care of your laundry, your flooring and your crockery as well as when conjuring up exquisite culinary delights. Konica Minolta has been expanding its business in various fields including office equipment, optical systems for industrial use, and diagnostic imaging system. Cart2Quote’s functionality is the pivital point for online B2B sales. Shine Retrofits is your energy efficient lighting products and services resource. We specialize in working with electricians, facility managers, and building owners. Shine Retrofits uses the Quotations extension for Magento to provide RFQ functionality to its B2B customers. Allgolf.nl - Promotional golf gifts. Branding almost all Golf equipment. Allgolf uses Cart2Quote as their B2B Magento extension to offer their customers and visitors to request quotes for multiple quantities per item. Binders.com brings together quality products and services in the binder and promotional packaging industry. Their renewed website now also offers their customers the option to request a quote. All within their existing Magento e-commerce platform, these quotes are easily converted to orders. YARD Direct is on target to become Europe's largest online distributor of high quality roof windows. The Cart2Quote quotation module for Magento enables them to handle quote requests, proposals and negotations well, all from the existing backend of the webshop. Bayometric is a leading global provider of biometric security systems. Their clients are mainly enterprises, government agencies, custom application developers and system integrators. A robust quotation solution to do business online was therefore really needed. With over 700 orders per month and 15.000 product online is Peta a real online retailer committed to make shopping computer hardware save and easy. Peta is relying on Cart2Quote to process Quote requests via the front - and backend of their store. Universal Medical Inc. offers unique items to the medical industry. Their new website now has the "add to quote" function through the Cart2Quote module, enabling their customers to receive customized proposals. Fire Rescue Safety Australia (FRSA) is an organisation that runs parallel to those who strategically manage the emergency management process. We are professional equipment suppliers who provide expertise in equipment selection. We have tried many quotation plugins and this is the best in the market! Full of detail features and very well implemented. Overall great plugin and most importantly, great support team too! Best choice ever with no regrets! Based upon my research this is the most complete quoting system available for magneto stores with dynamic pricing. Module gives customer the freedom of choice to inquire before committing to an order. Excellent! This is a extensions that has come into my teams default toolbox for Magento builds. The quoting functionality is more advanced than any other extension for this purpose on the market, and the support tends to be very good. Triumph Learning provides research-based, print and digital solutions for instruction, intervention, and test success, serving over 6 million students and 400,000 teachers.  Customers can request a quote online through the Cart2Quote solution. The motto of ASAP Supplies is "we do whatever we can to float your boat", indeed offering a complete range of products that are used in and for boats. The Magento website enables customers to request a quote before buying products. For Visy Industries we extended the CRM functionalities Magento and Cart2Quote offer as a standard. Client contact is key for any B2B company, and Visy is now able to really take it to the next level with new roles, filters and variables! Software Media provide discount software, software licensing and software-related services online and offline. With Cart2Quote installed they now have a robust quotation functionality that works seamless with their Magento webshop. North40 Outfitters offers a wide range of products; form apparel to tools, home and garden and automotive. They enable their customers to request quotes through their webshop, lowering the threshold and increasing their orders. UG is a growing global provider of automotive electronics, specialized in aftermarket in-car entertainment products with an expertise in audiovisual electronics. Their webshop enables customers to request a custom proposal before they buy online. Fieldworks Direct B.V. has developed into one of the leading suppliers of "Full Rugged Notebooks / Tablets / Convertibles", "Semi-Ruggedized Laptops / Convertibles", "Industrial Rackmount, Embedded and Panel Computers" and much more. Cart2Quote is used for complex products. XCase is importer and distributor of rackmount chassis, cabinets and server components. For their website they needed a robust quotation system. Cart2Quote enables them to send out proposals within seconds, converting prospects into customers. AbiGo4u started in 2009 and offers a wide range of computers and components from both industry and the consumer market. Cart2Quote is used for corporate IT hardware products. RadioParts.com sells two-way radios, parts and accessories. 80% of their customers are corporations and organizations. Our robust quotation module enables customers to request quotes, to send out proposals through the backend and convert them into orders. We did all of our quoting through QuickBooks. 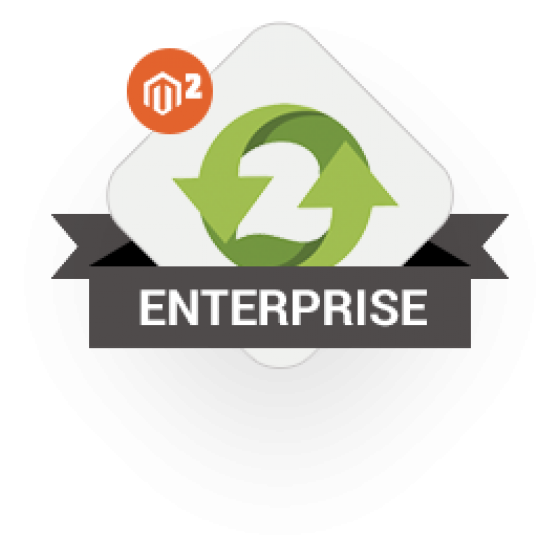 Now we rely solely on our Magento stores, and Cart2Quote fully manages our quote-to-fulfillment process. Cart2Quote has become our time-saver and a MASSIVE money-saver. It doesn’t just generate leads, it has turned our business around. Pinkcube is a supplier for (printed) promotional gifts. Since most of their clients are companies they needed a quotation solution to make their webshop a proper B2B e-commerce platform. The Cart2Quote solution enables them to handle the quotation-to-order process smoothly. Ellsworth Adhesives is a global corporation specializing in the distribution of specialty chemicals and equipment. The Magento quotation extension is used for all products that are relevant for B2B sales. Merchprom is a full-service provider for quality printed textile printing and merchandising. Their Magento webshop offers RFQ functionality through the Cart2Quote module. Cobra Golf sells high end quality products for golfers worldwide. 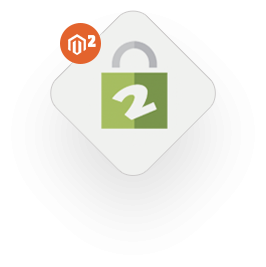 To enable customers to request a quote they use Cart2Quote with their Magento webshop. Offering one of the UK's largest ranges of tools, insulation, boilers, radiators, bricks and much more, BSO enables their customers to request a quote online with Cart2Quote. ComfortUp is a provider of high quality indoor and outdoor goods ranging from cooling and heating systems and accessories. Their Magento website now has RFQ (request-for-quote) functionality added. Rx-Safety.com is an optical lab and internet store. They aim to provide customers with affordable, top-of-the-line prescription safety eyewear. They use the Cart2Quote module as complete request-for-quote solution. Our collaboration with Cart2Quote went to our complete satisfaction. Through our contact person we were able to switch quickly with someone who knew how to handle things. This resulted in a solution that works outstanding. Transcat serves their customers within such areas as the pharmaceutical, industrial manufacturing, energy, and chemical process industries. Their webshop now offers a complete RFQ functionality. AKW are the UK market leaders in showering, daily living and kitchen solutions for people with mobility needs. They now have a robust RFQ functionality added to their Magento webshop. The Ethos Trade Equipment and Services Ltda. specializes in business automation and enterprise computing. For their B2B customers they offer Cart2Quote as quotation module. Great quotation module, which we use to enable our customers to request quotes (if needed with tier quantities) and checkout with customized prices. 365zon is specialized in placing solar panels wether it is for companies or the private sector. For all items in their catalog a quote can be requested with Cart2Quote. M’eye e.Store offers equipment of the highest quality for optometrists. Customers can now easily request a quote before buying online. Selling office furniture online, TodoOficina added RFQ functionality for their customers with the Cart2Quote Magento module. Since 1976 Atlantic Radio Telephone has been providing communication and navigation solutions to those who find themselves “off the grid.” Through their webshop they sell online, but now, with the quotation module, their customers can also choose to request a quote and negotiate deals. Cart2Quote extensions provides the best possible solution for merchants that are in B2B and B2C business. Completely solves the problem of hiding catalog prices without much frustration to customers. Also simplifies the proposal sending process. For over 25 years, the founders of OfficeNameplates.com have been producing corporate signage, marketing and identification products to virtually every industry under the sun. This customer uses Cart2Quote in a common B2B environment. Why Cart2Quote? Big brands love us. Just ask our customers and see what we can do for you. Some of our awesome Customer success stories. This is an extension that has come into my team's default toolbox for Magento builds. The quoting functionality is more advanced than any other extension for this purpose on the market, and the support tends to be very good. We have used this extension for almost 2 years. Out of the box it gave a professional look to quotes that was severely lacking prior to this. Well done, showing the rest of the community how this should be done. Thank you. Ready for Magento 2 Cart2Quote Enterprise? Cart2Quote for Magento 2 is the most complete Magento module that enables customers to create a Request for Quote (RFQ) on Magento 2 websites. Order your copy for €999 today. With Magento 2 Supportdesk Potential clients are encouraged to ask pre-sales questions directly from your product catalog. Manage the visibility of prices per product, product group or customer group, or simply disable the Add To Cart button. You're in control with Not2Order! Do you have questions or comments about our products or pricing? Please leave a message and we will get back to you as soon a possible. Customer Quotations Extension for Magento, easy, complete and skyrocketing your sales. Add powerful quotation management to your web shop. Get started for free. 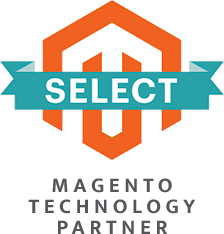 Cart2Quote is an official Magento Silver Partner. This Partnership allows us to offer you Magento Enterprise. Want to know more about how you benefit from our Magento Partnership? Visit the Magento Website. © 2019 Cart2Quote. All Rights Reserved.